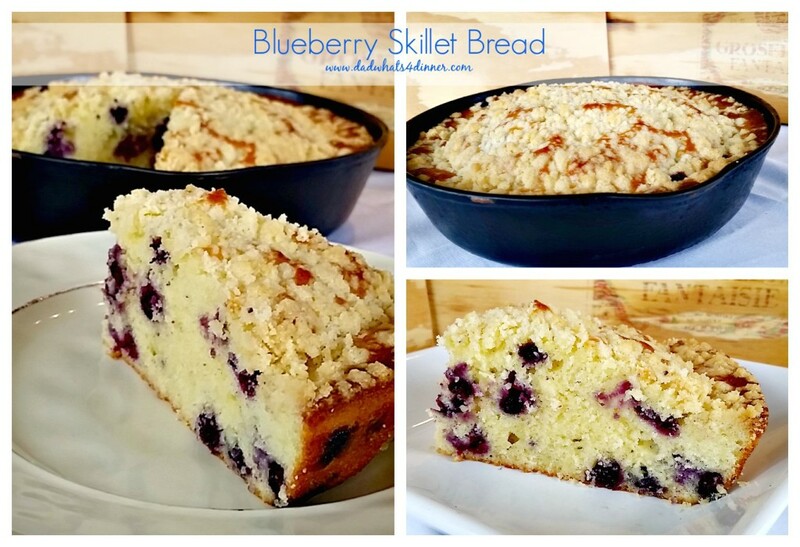 Blueberry Sour Cream Skillet Bread with Streusel Topping! Today, July 11th is National Blueberry Muffin Day. Okay, so this is not a blueberry muffin, it is something better. And I mean way better! 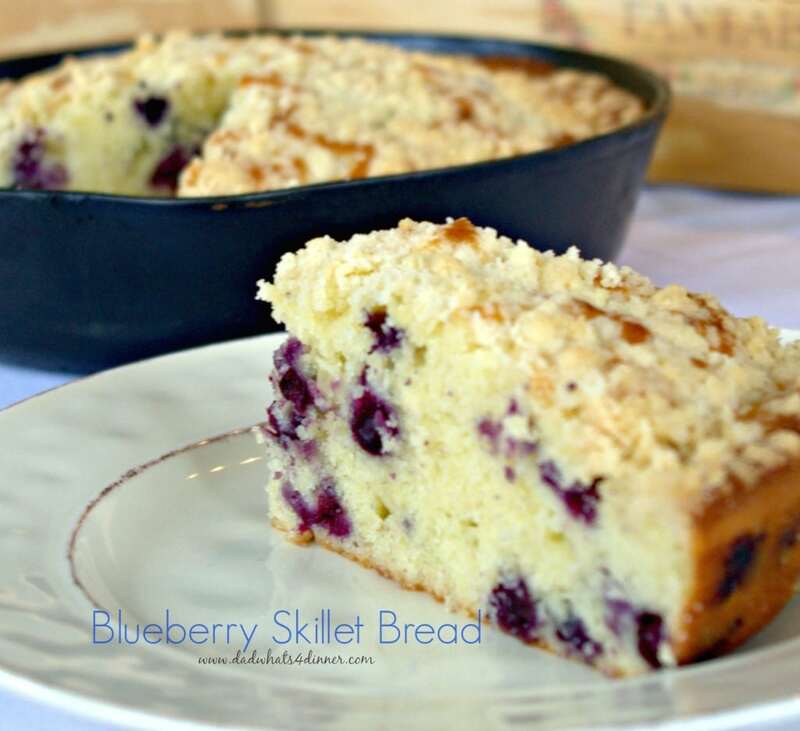 My Blueberry Sour Cream Skillet Bread with Streusel Topping uses a simple batter that could be used for muffins, but why when you can make skillet bread. The cast iron skillet allows the bread to cook evenly and gives a nice crust to the outsides of the bread. The sour cream and lemon juice add a nice tang to the sweet and tartness of the blueberries. You will want to definitely make this for breakfast tomorrow. I should have made two because my first Blueberry Sour Cream Skillet Bread with Streusel Topping was gone in a couple of hours. 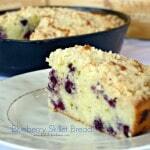 The cast iron skillet is what make my Blueberry Sour Cream Skillet Bread with Streusel Topping taste so good. You better make two! Cut a piece of parchment to fit the bottom of an 8 inch cast iron skillet (can use other type of oven proof pan). Spray paper and skillet with cooking spray. Add flour mix and milk to butter/egg mix, alternating dry and wet, until combined. 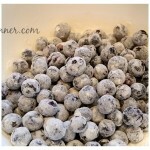 In flour bowl, add blueberries and toss them in 2 1/2 tablespoons of flour. This prevents blueberries from sinking. Lightly fold blueberries into the batter. 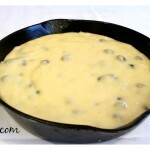 Pour batter into prepared cast iron skillet. In separate bowl combine streusel topping ingredients. Sprinkle batter with streusel. Bake in preheated oven for about 45 to 50 minutes, until a toothpick inserted into center of the bread comes out clean. Cool bread in pan for 30-40 minutes on a wire rack. 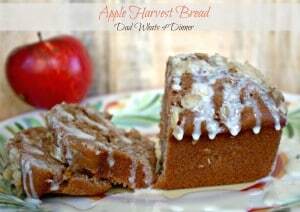 Check out my other breakfast bread! This looks wonderful. 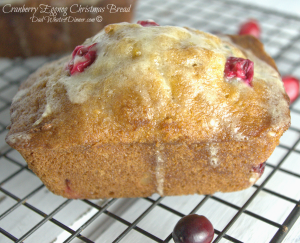 I never thought of making blueberry bread in my iron skillet. Can’t wait to give it a try. Thanks for sharing. Stopping over Share It Link Party. Sharing. Works great. Give it a try a let me know. Thanks for stopping by. Wow! What a great recipe! After reading about this I’m tempted to leave and buy a skillet right this second! 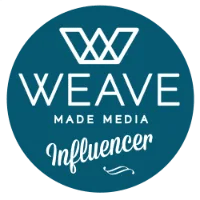 I’ll be pinning-maybe I can use this for my upcoming brunch! Thanks for sharing! I only have a 12 inch skillet, would that be ok to use? Hi Kristen, Thanks for stopping by. A 12 inch will work fine but I would start testing to see if it is done after 40 minutes. Let me know how it goes. Yum this looks awesome. I absolutely love baking with blueberries. Gonna have to give this one a try! Thanks Alli. It turned out awesome. I am on to fresh raspberries now. They are in season around here. Have a great week. This looks amazing. I thing you are one heck of a baker! Thanks Winnie. Not as pretty as your stuff. Thanks for stopping by and have a great weekend. When I make sweets I usually have one piece them I am done. This one was hard to keep my hands off but i maintained my decorum. :)) Thanks for the comments Kathryn.. This is the kind of cake I would love to have every morning for breakfast! Thanks Judy that means a lot. Have a great week. What a lovely use of the cast iron skillet! 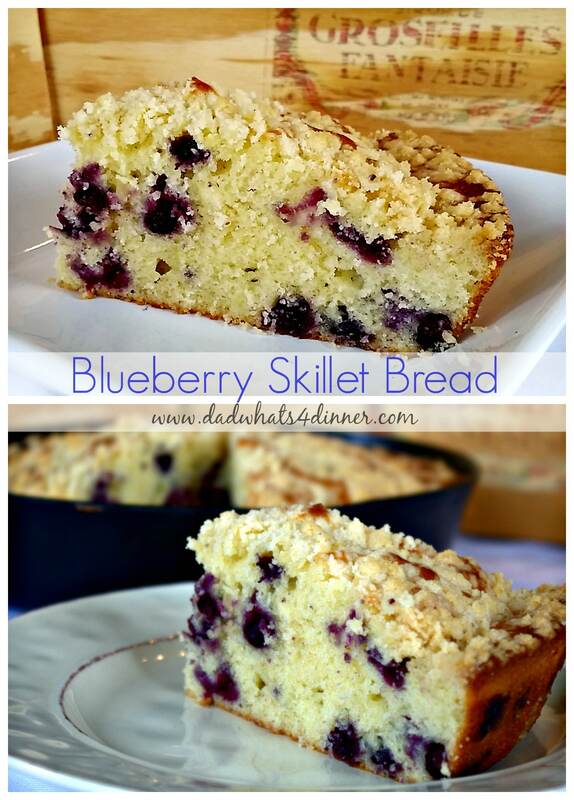 The blueberry skillet bread looks delicious! I love baking with blueberries, this looks delicious! It was a nice twist. Thanks for stopping by. 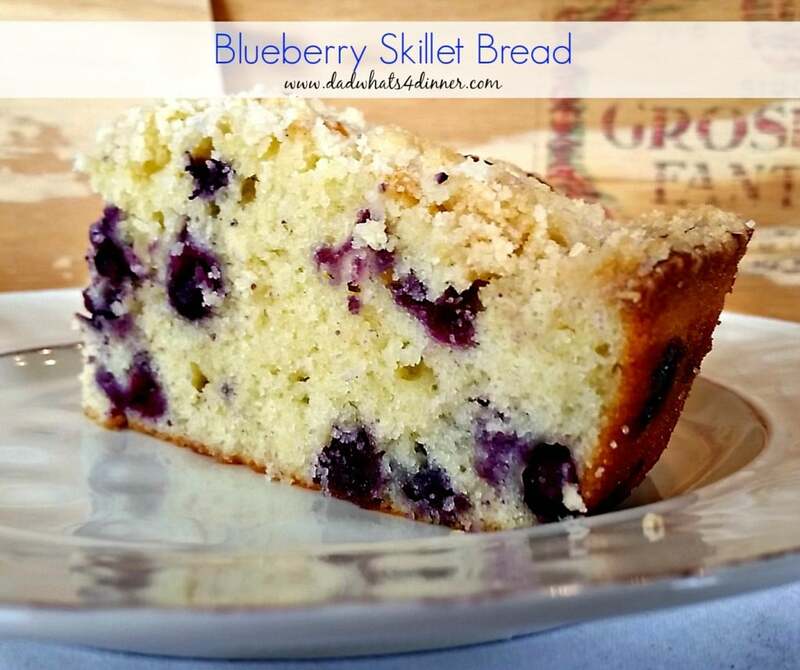 The blueberry skillet bread looks really moist and delicious! Great recipe. Thanks for sharing it at the fiesta! The cast iron gave it a crispy crust but very moist on the inside. Happy FF! Quinn, this is so moist and delish looking! My kind of cooking! Plus you can never go wrong with anything by or from King Arthur! Or you! I love KAF. Wish I could work for them. It was very moist and tasty. Probably need to redo the pics but they are not bad. Thanks Mollie!! Dang that looks good. I’m eyeing my 8 inch cast iron skillet right now thinking, “Ready for a workout?” My kids would love to come home to this today. Thanks for linking up with us at #SaucySaturdays! Yes they would. My kids loved it and I am sure your skillet needs some love.